Geofencing marketing is the ultimate tactic to engage mobile users. Leveraging mobile location data, mobile marketers can promote products and services and customers can receive personalized content based on their interests and needs. 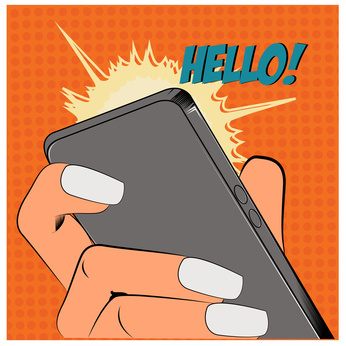 Through rich push notifications and promotional creativities, marketers can transform existing apps into powerful marketing tools that improve user experience, drive visits to stores and boost revenue. Most people spend their time in mobile apps, presenting another potential source of engagement. The Geofencing technology available today also presents many opportunities for marketers looking to boost their return on investment. Geofencing marketing is an example of a real-time location-based marketing tactic that uses geolocation data to target users within an established geographic area and delivers content based on where they are or in what locations they have previously visited. The Geofencing Marketing purpose is to detect the user presence within the fence. It works in order to attract customers in a general area. When they are at least 100 meters away from the place, they may receive mobile notifications about that particular place. Connect your app to physical places using Geofences. Deliver relevant notifications when users enter, leave or dwell in specific locations. Use A/B testing and analytics reports to measure campaign effectiveness and improve performance. Geofencing is an effective way to reach and connect with your users through mobile at scale. Not surprisingly, location-aware apps are found to be 235% more engaging than standard mobile apps, according to our last study. Mobile geofencing incorporates location intelligence and behavioral data into your app in order to improve audience segmentation and the delivery of relevant notifications. It has proven to be an effective tool because it is personalized, it reaches the audience timely, and it is very targeted. Attract visits to your location by adding geofences in POIs like airports, Hotels or touristic locations and send them engaging notifications that create urgency to convince them to visit your business. Survey customers when they leave your location. By getting feedback from your customers, you will have better knowledge about your business and the in-store experience. Don’t forget to give incentives or rewards to persuade to complete the survey. Intercept customers at competitors locations by adding geofences to competitors locations to influence consumer behavior by delivering a better offer if they visit your store. Using this tactic, then you can also know what segment of your customers frequent your competitors' businesses. Retarget customers who have visited a specific location or engaged with your campaigns to deliver a special offer or promote your loyalty program. Who is using geofencing marketing in their mobile strategy? 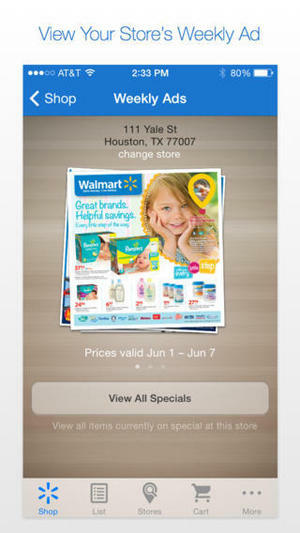 Walmart's app has a store mode that reacts to geofencing around stores and delivers coupons and e-receipts. With one in five of Walmart's online purchases picked up in store, this geofencing marketing tactic can persuade those customers to spend more in stores. The goal of the campaign was to drive foot traffic and deliveries from area hotels and to promote a special coupon for Comic-Con San Diego guests. Over 23,000 impressions delivered to an extremely targeted audience within a mile of advertisers location. The campaign had over a 33% CTR and the campaign engaged around 6,000 different mobile users. Traditional mobile notifications rely on non-specific targeting, which leads to low conversion rates. Geo-fencing is all about getting the right products, in front of the right people, at the right time and location. 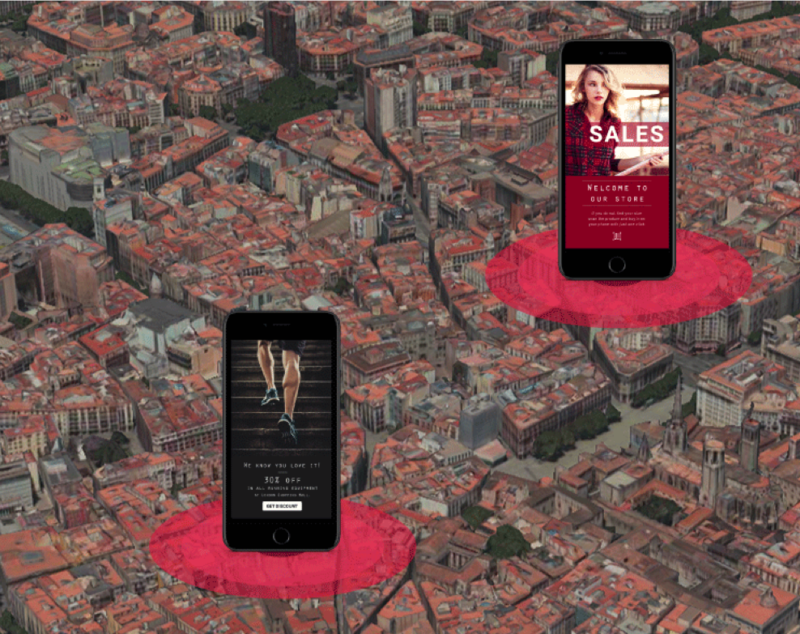 Are you interested in adding Geofencing Marketing capabilities for your app? Request your Free Demo here.